Rock the dragon at home or on the go. Looking to test your might against seasoned Dragon Ball Z fans across the world on Switch? 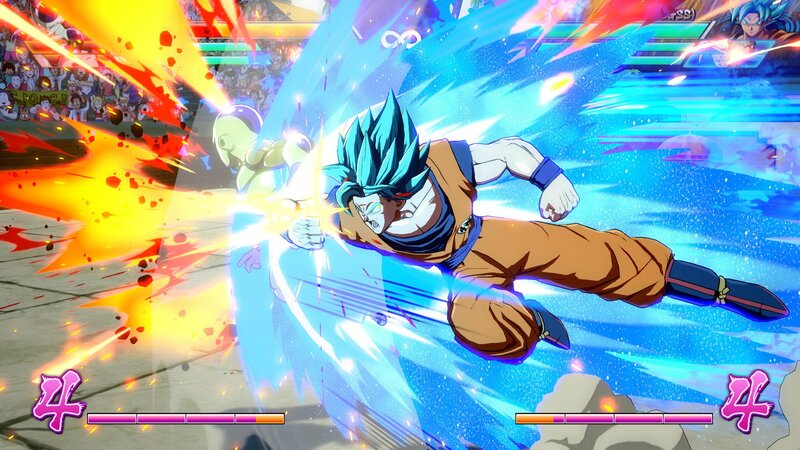 The wait is over, as you’ll now be able to pick up Arc System Works’ popular fighter Dragon Ball FighterZ on Nintendo’s handheld system starting tomorrow. The game brings the same knock-down, drag-out fighting you're used to from the title on other consoles and PC, but now allows you to utilize Joy-Con controllers to "pick up and play" at any time with your opponents. The Switch version of the game allows for local multiplayer matches with two consoles or using Ad-Hoc Wireless technology, with up to six players able to play together via Party Match mode. All additional content from the other versions will be up for grabs for purchase as well, such as the FighterZ pass, the Anime Music Pack, DLC characters, and more. You won't be missing a beat if you decide to jump from another platform to this one. It all goes down tomorrow, September 28. Meanwhile, the game is already available on Xbox One, PlayStation 4, and PC just in case you don't want to wait a few more short hours. We understand waiting can be frustrating when you don't have Goku's instant transmission to zip back and forth.